The current crop of power supplies are all about efficiency and power and for good reason, you require power enough to manage today’s video cards and efficient enough not to destroy your power bill. Lately Thermaltake has updated their famous Toughpower line with the newer Toughpower XT more specifically for this review the Toughpower XT 750w. Revision of the Toughpower line brought about changes that appear to be relatively minor… First they added several LED lights that are power supply status lights ( more on that later), and a switch that will allow you to set a power off delay on the cooling fan which theoretically will prolong the life of the power supply. 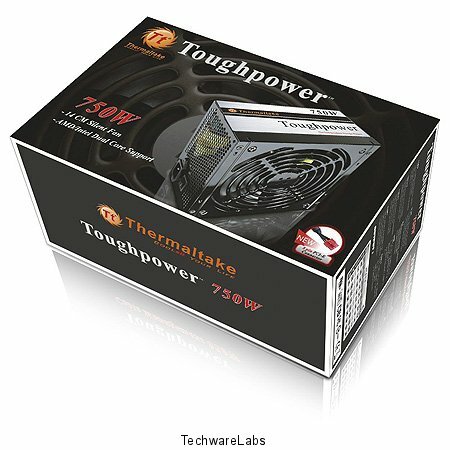 These added “features” combined to give us the pleasure of reviewing the Thermaltake Toughpower XT 750w an 80Plus bronze certified power supply. Supports Dual Core / Quad Core CPU, Nvidia SLi, and all Multi-GPU technologies. Built in next generation 8-pin PCI-Express graphic card connector. Four +12V rails(12V1,12V2,12V3,12V4) supports high-end graphic card and PC system (combined loading of 60A). Japan made capacitor promise the best reliability.